On October 10 Ambassador Extraordinary and Plenipotentiary of the Republic of Estonia to the Republic of Armenia Kaiy Kaarelson visited the Chamber of Commerce and Industry of the Republic of Armenia. 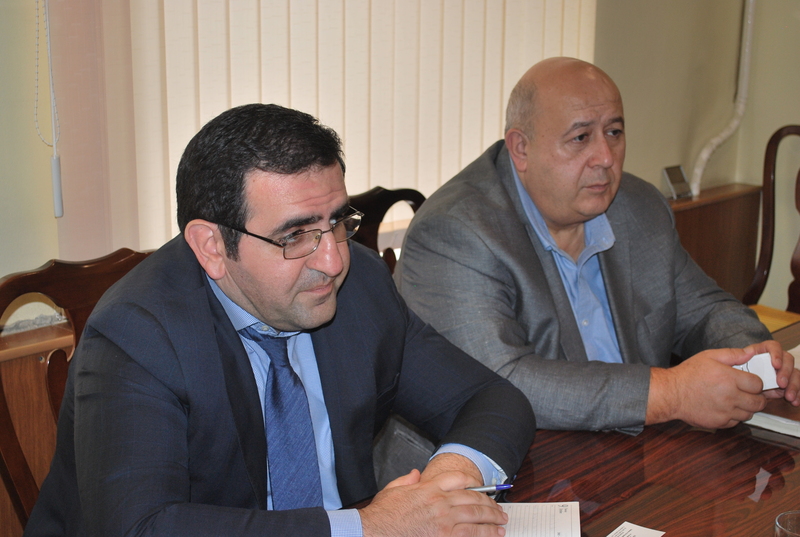 Executive Director of the Chamber of Commerce and Industry of the Republic of Armenia Andranik Aleksanyan, presented the new situation, business climate and investment issues to the guest. Both sides noted that Armenia and Estonia enjoy wonderful political and warm friendly relations, which is a good prerequisite for establishing new business contacts and undertaking joint initiatives. Head of the International Collaboration Department of the Chamber of Commerce and Industry of the Republic of Armenia Vladimir Amiryan highlighted the spheres where the establishment of a joint business is possible. particularly high technologies, transport, and more. For effective cooperation, both sides expressed an opinion that specific meetings and business forums should be organized.